• Guarantees the continued influence and ongoing success of the JLCR in the community. At this time, there is only one situation in which the Endowment would appropriately disburse funds. Per JLCR’s Investment Policy, under certain conditions, a small percentage of the Endowment’s investment income from any given year can be contributed to JLCR’s operating budget to help fund community and administrative programs for the following fiscal year. Once a year, the VP Operations is responsible for reviewing the Endowment’s current financial conditions and recommending a course of action to the Board, as dictated by the Investment Policy. A gift to the JLCR Endowment Fund is truly a gift that keeps on giving. Donations increase the balance corpus, allowing League to fulfill its mission to improve our community and continue the momentum that so many women before us created. 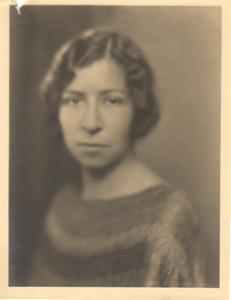 The society is named for Ellen Douglas Williamson, JLCR’s first president. Named after the first President of JLCR, the Ellen Douglas Williamson Society honors and recognizes individuals who support JLCR by including JLCR as a beneficiary in their estate and/or financial plans. When you make a planned gift to JLCR, it represents your deep personal commitment to the continued success of its mission and indicates you hold JLCR in your highest values. Often, these gifts honor or memorialize loved ones, but they also provide an investment in JLCR’s future and leave a lasting legacy for future membership and the community. In appreciation and acknowledgment of those generous individuals who have made a planned gift to JLCR, no matter what the size, JLCR honors these individuals as a lifetime member of the esteemed Ellen Douglas Williamson Society. Members receive special communications, invitations to educational programs and events, and recognition in select League publications.